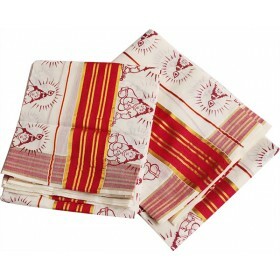 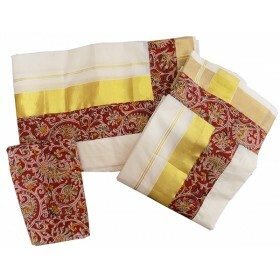 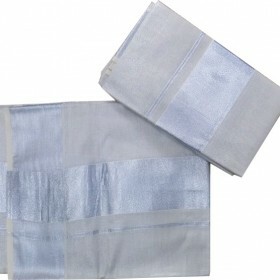 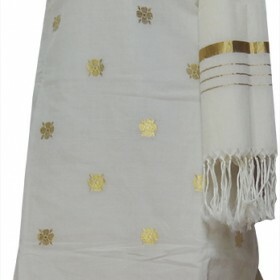 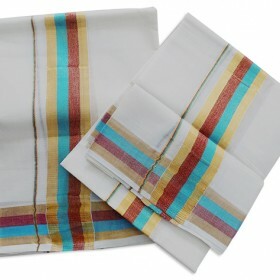 Traditional sartorial elegance draped in this silver tissue kasavu Mundu. 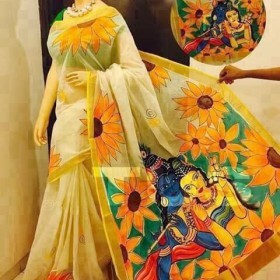 All the keralites womens a..
Kerala traditional ethnic wear is mostly wanted by women’s to make their festivals awesome, this is pure cotton hand painted saree having off white color with amazing design for a royal look. 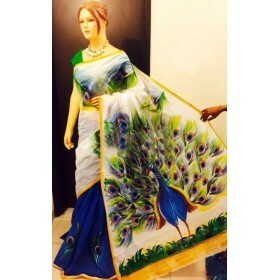 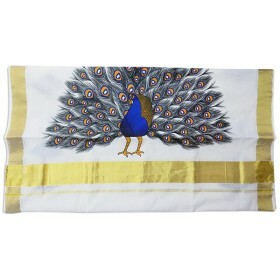 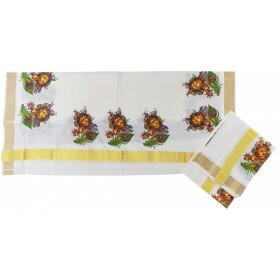 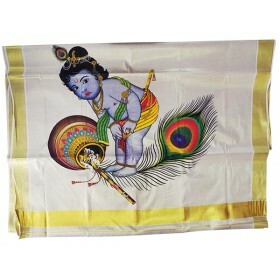 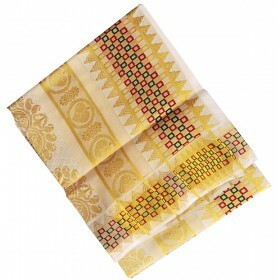 It has orange and yellow background along with two peacock natural hand painted design on pallu and top fleet we have yellow shade on border having peacock petals (mayilpeeli) hand painted design to make you beauty. 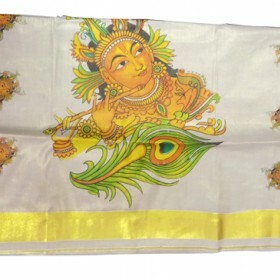 Bottom fleet has yellow shade and peacock petal (mayilpeeli) along with the golden kasavu border makes gorgeous.